The Albuquerque Open Sky Zen Group (AOSZG) is affiliated with the Kwan Um School of Zen (an international Zen sangha derived from the Korean Zen tradition). It is led by Tony Sager, a senior dharma teacher within the sangha. The AOSZG is a practice group with teaching and guidance. Tony will lead it every other Monday and on the nights he is present he will teach on certain aspects of Zen practice, focusing in part on the formal and informal aspects of practice and how to incorporate practicing in a very natural way into all parts of one’s every day life. He will bring heart into the practice, teaching how the heart is part of the essence of the core of dharmic realization and how it manifests in life. In addition to sitting and walking meditation and teaching, there will be time for questions and answers and sharing for those who wish to. Sitting meditation instruction will be given for those who are new to practicing. The weeks Tony is not present, Paul Sonia will lead the meditation. He will not provide teachings but will give sitting instruction for those who need it. 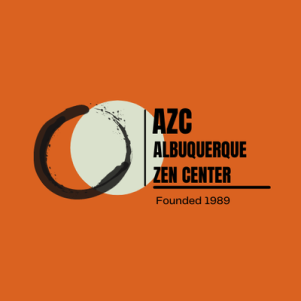 As the AOSZG rents the space from the Albuquerque Zen Center, participants are encouraged to give dhanna (a donation). $5 is suggested but any amount that one is able to give will be appreciated. No one is turned away if they are unable to give something.